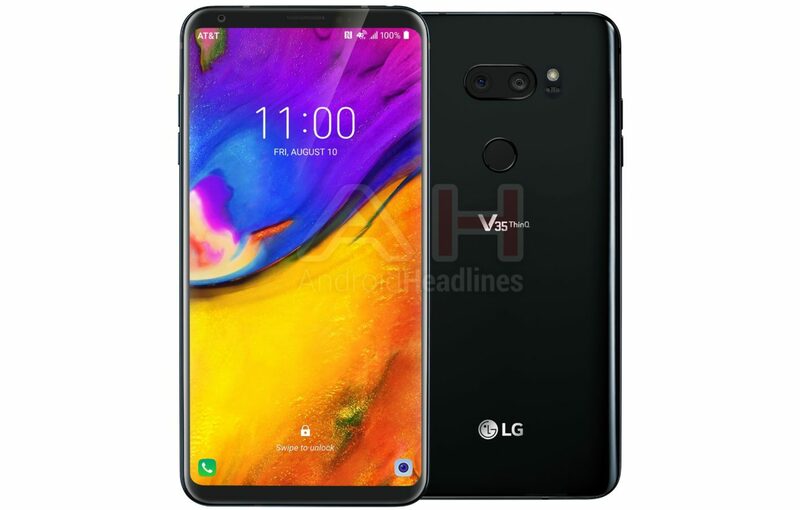 LG recently introduced LG V7 ThinQ Smartphone now Press images and Specs of Upcoming LG V35 ThinQ Smartphone has been leaked. LG V35 ThinQ to have a dual rear camera and a 6-inch QHD+ OLED “FullVision”18:9 display, there won't be a notch Powered by Snapdragon 845 Processor with 4/6GB of RAM and 64/128GB Storage. On Camera expected to be 16MP Dual Rear Camera similar as G7 ThinQ. 32-bit Hi-Fi Quad DAC, and an emphasis on the artificial intelligence (AI) capabilities of the phone. Along with a “premium glossy finish. The report also says AT&T exclusive LG phone will be the V35 ThinQ. The renders shown here are understood to be AT&T-specific renders of the V35 ThinQ which further reinforces the likelihood of this being the AT&T LG phone.